Floral prints that once seemed confined to summer ensembles were seen in darker colors and thicker fabrics that felt more fall appropriate. 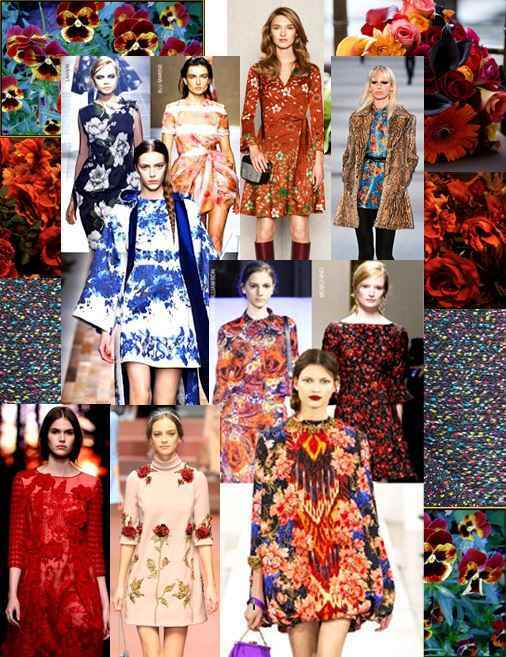 Velvet and floral brocade appeared to billow down the runways thanks to the flared cuts and rich color palette. Vibrant reds, deep purples, emerald greens and electric blues created an eye-catching catwalk with surprising movement and texture. Floral appliques adorned both the heavier fabrics and sheers as shift dresses and ankle grazing garments.